Aeternity (AE) is a cryptocurrency token generated on the Ethereum blockchain. AE is minting through the mining process. The total supply of Aeternity that will ever be issued is 306.73 Million tokens, and the current supply of AE in circulation is 260.91 Million tokens. Current Aeternity price is $ 0.485 moved down to -2.10% for the last 24 hours. All time high (ATH) price of Aeternity reached $ 5.93 on 29th Apr 2018 and fallen -91.8% from it. Aeternity's share of the entire cryptocurrency market is 0.07% with the market capitalization of $ 126.51 Million. Aeternity’s 24 trading volume is $ 47.32 Million. It is trading on 41 markets and 20 Exchanges . Find more details about Aeternity cryptocurrency at the official website and on the block explorer. Aeternity price Index provides the latest AE price in US Dollars, BTC and ETH using an average from the world's leading crypto exchanges. The Aeternity to USD chart is designed for users to instantly see the changes that occur on the market and predicts what will come next. 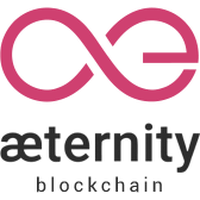 Founded in 2016, æternity is an open-source, blockchain-based distributed computing platform that builds on decentralized cryptographic P2P technology. Designed to deliver unmatched productivity, transparent governance, and global scalability, æternity offers blockchain technology with a consensus mechanism that is as efficient and cost-effective as possible. æternity's unique state channel design enables the off-chain verification of data and smart contracts, allowing for all transactions to be independent of each other, thereby increasing transaction speed and scalability while also ensuring increased privacy. æternity’s underlying value token is the AE token, which can be transferred between members and is used to compensate participant nodes for any number of computations performed. All AE token users are allowed to participate in the governance of the aeternity blockchain through a voting process, weighted by the number of tokens each user holds.